Australians are just so cool. I feel comfortable making that blanket statement. Have you ever met an uncool Australian? Some of my favorite online reading are provided by chic and sophisticated Australians who curate material that is also…you guessed it…really cool. I was pleasantly surprised when I got an email from the folks at Adore Magazine with the announcement of their new Lovely Wedding Magazine. I dropped everything to click around and was rewarded with gorgeous photos that all reflect sophisticated and warm real weddings. Each feature was brimming with floral design inspiration, all of the brides in this edition have such a great aesthetic! 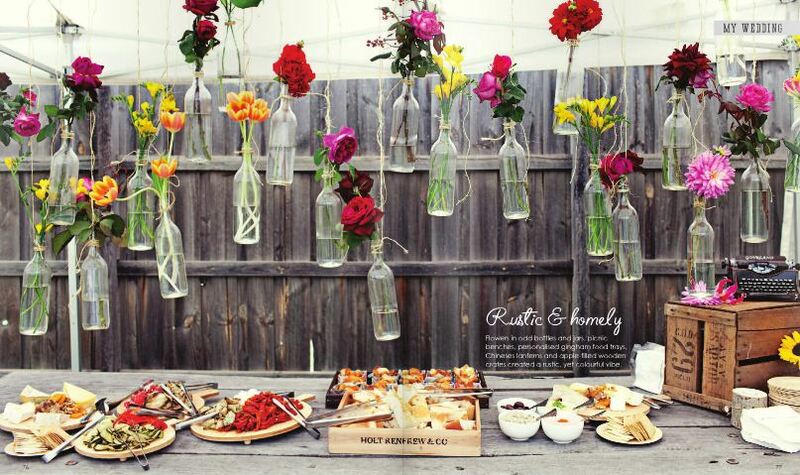 A ‘rustic & homely’ surprise wedding featuring a floating garden with 1-2 blooms in glass bottles. 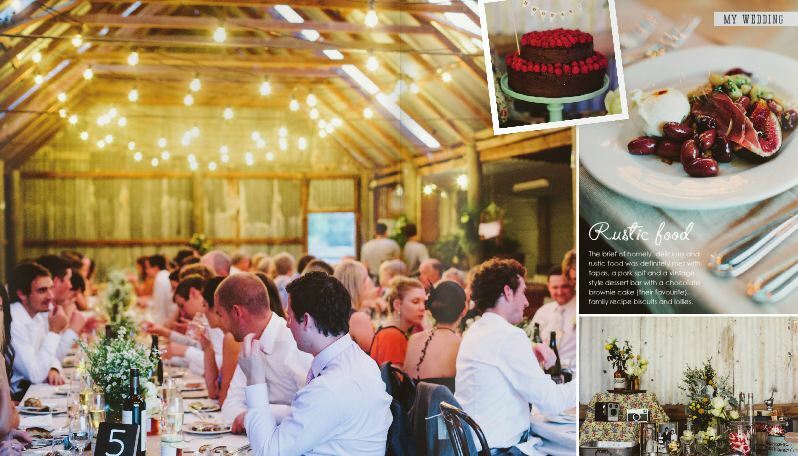 Country wedding with a dinner reception in a barn. 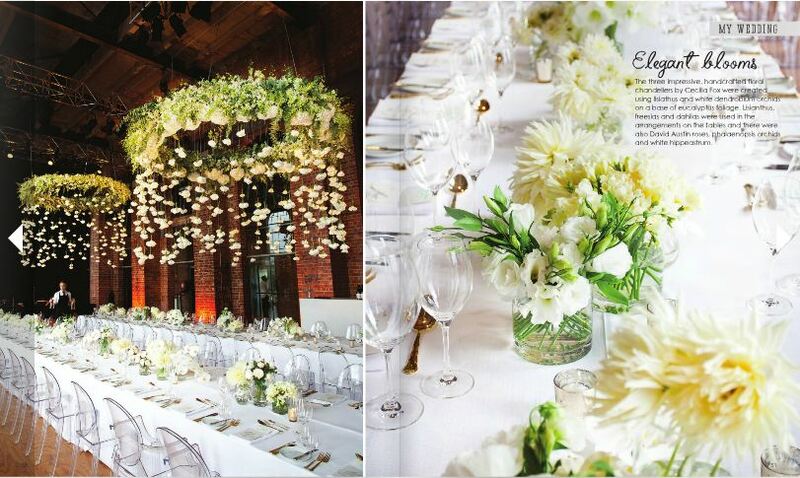 An elegant New York wedding with classic white florals and a stunning floral chandelier. 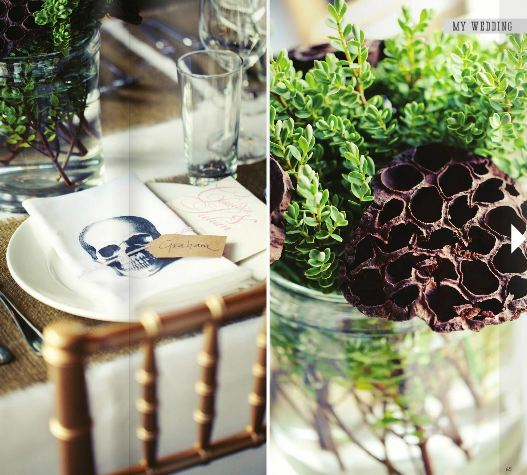 The ‘elegant and earthy’ wedding of one of my most favorite style bloggers Claudia. 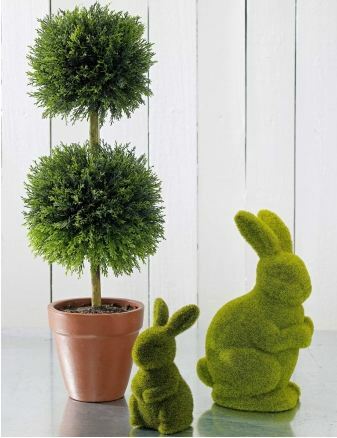 And we all love these moss bunnies, and we’ve already thought of how we can create them! Make sure you head over and subscribe to Lovely Wedding Magazine, I already can’t wait for the next edition!